So cute, and so affordable, this three colour gocco print is from a limited edition of 73. It is printed on the ends of etching cloth paper (creme), and is signed, dated and numbered by the artist. Emma Kidd brings intriguing characters to life in her original artworks, goccos, postcards & prints. She has an incredible portfolio and we are thrilled to offer a selection of her works for sale. 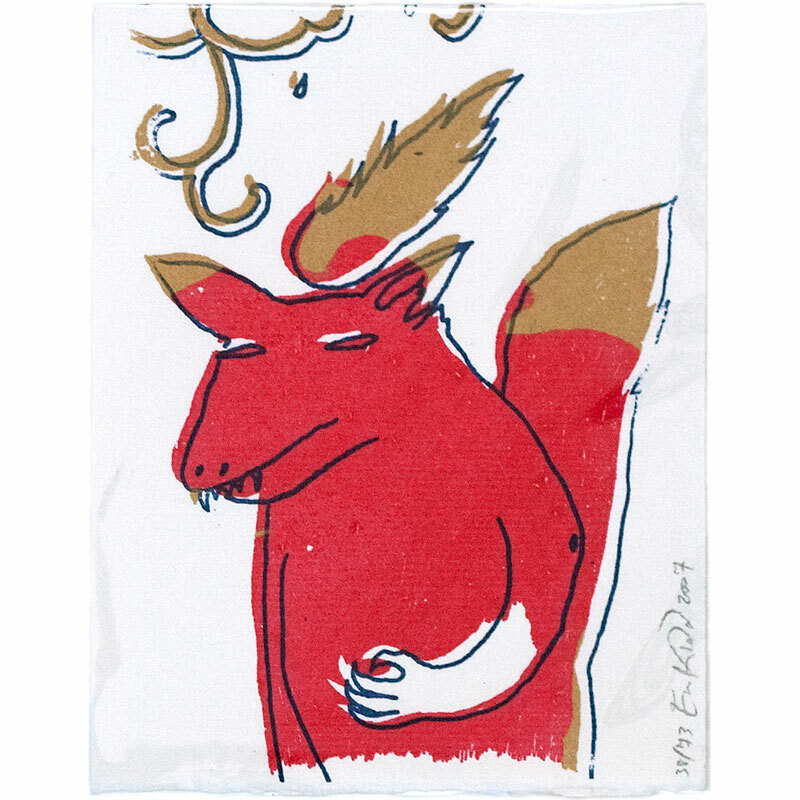 In many of her pieces, we see portraits of monsters - curious & playful, strange & shy, such as the Rabbit Tree Head in this Gocco print. At other times, we see characters in their environments - different imaginings of the natural world, or darker, more sinister spaces where twisted tales are unfolding. Emma Kidd is an Australian artist, illustrator, printmaker, photographer who spends most of my time creating things. The name "benconservato" refers to "well preserved" in Italian. ©2009 Emma Kidd - All copyright and reproduction rights are retained by the artist.